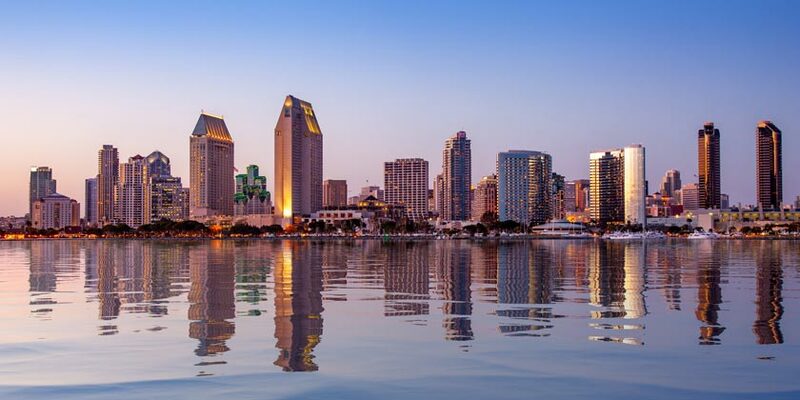 A favorite vacation destination among travelers for its moderate climate, miles of beaches, bustling downtown, and family-friendly attractions, San Diego has something for everyone. With 70 miles of sprawling coastline, unwind beneath the sun or participate in a variety of water sports, such as surfing, sailing, or kayaking. Beyond the sand and sun, San Diego boasts a vibrant downtown that offers an assortment of restaurants, shopping, and entertainment. Peruse the stores in Horton Plaza, wine and dine at one of the many eateries within the historic Gaslamp Quarter, or catch a game at PETCO Park, home of the San Diego Padres. The entire family will enjoy two of the world’s greatest animal venues-the famous San Diego Zoo and the San Diego Zoo Safari Park - plus LEGOLAND, and more. There’s something for every traveler in San Diego. Span the globe in one afternoon, viewing rare and intriguing wildlife from nearly every region of the world. LEGOLAND® California brings out the hero in everyone with more than 50 super rides, shows and attractions for all the entire family. The San Diego Zoo Safari Park immerses you in an active, hands-on safari experience where herds of animals roam natural habitats in a vast reserve. Learn more about 1-Day Legoland/Sea Life Hopper w/2nd Day FREE! Visit LEGOLAND California and Sea Life Aquarium. See magnificent California gray whales on their annual journey from the Arctic to California's Baja Coast on a whale watching cruise from San Diego. Take a 2-hour relaxing harbor cruise through the bay of San Diego, featuring unforgettable views of San Diego's skyline. Resort info: On its own private peninsula in world-famous Mission Bay Park, surrounded with sun-drenched sandy beaches, tropical gardens, and hidden waterways. Resort info: This superior hotel is a great pick for families and active travelers hoping to explore the sights and sounds of San Diego. Resort info: A premiere choice for couples, spa-lovers and families, this dynamic hotel offers the perfect blend of upscale amenities and personalized service. Resort info: Located at the main entrance of LEGOLAND, a stay at this LEGO themed hotel will turn a day you’ll always remember into a night you’ll never forget. Resort info: Tucked amidst lush tropical gardens and meandering lagoons this lovely California retreat appeals to everyone with a quiet blend of service and style.